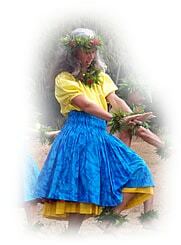 The word hālau originally signified long house, workshop or meeting place as for canoe-making or hula instruction. In ancient Hawaiian society, haumana (students) lived sequestered in the hālau, working under restrictions or kapu (taboos) in intensive preparation for religious ceremonies and entertainment for the gods and chiefs, as well as the tillers of the soil. The hālau was based upon a strict hierarchy. Much has changed since then, but what makes a hālau is still the same. The word kumu literally means source, foundation and origin. A kumu hula (hula teacher) is a master teacher of Hawaiian dances, embodying the qualities of artist, manager and religious leader. As a leader, the kumu is teaching his or her knowledge to the students, instructing them in dance movements, costume and instrument making, as well as guiding the dancers in religious discipline and personal ethics. The kumu also arranges performances and ceremonies. The kumu has helpers within the hālau: the kumu kokua, a deputy who took over in absence of the kumu, and an alaka`i who is the leader of the `olapa (dancers). There is also a lead dancer of drummer, a treasurer (po`opuaa) who has an assistance called paepae, and a spokesman or sergeant-at-arms (ho`oulu). The position of a kumu can be taken by anyone who is qualified through training and study. He or she might be called to this position by choice of the company, appointed by an older kumu or self-elected in case the enterprise was his own. The haumana (student, pupil or apprentice) starts out as an ‘olapa (dancer) and has to dedicate him- or herself to a particular course of thought and action, which means not only to physical discipline, but also to mental, emotional and spiritual growth. These objectives are achieved through listening, watching, practicing and praying. Through repetitious exercises of movements the body of the dancer starts moving automatically, so he or she does not think about the next move – the move happens on its own. This is when the soul takes over and the hula dancer experiences an inner joy and peace that is visibly conveyed to the audience. With this, the foundation is set to inspire and entertain, to recall and attract, to enjoy life and be of service to others. 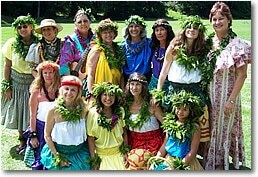 There is no need to belong to any specific family or race to be a successful hula student. Instead the student has to be loyal, supportive and honest, helpful without strings attached, be patient, diligent, kind and responsible for his or her actions. He or she has to be noble, humble and have the courage to stand up for his or her beliefs. And he or she must be beautiful, that means to reflect love and light. After years of practice and performance, as the young ‘olapa grows older and more experienced he or she will become a ho`opa`a, which literally means to make fast, to keep or to memorize. 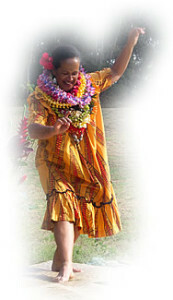 A ho`opa`a is a person who has learned oli (chant) and mele (dance) and is now ready to lead others in its performance. A haumana may be ho`opa`a and olapa at the same time.